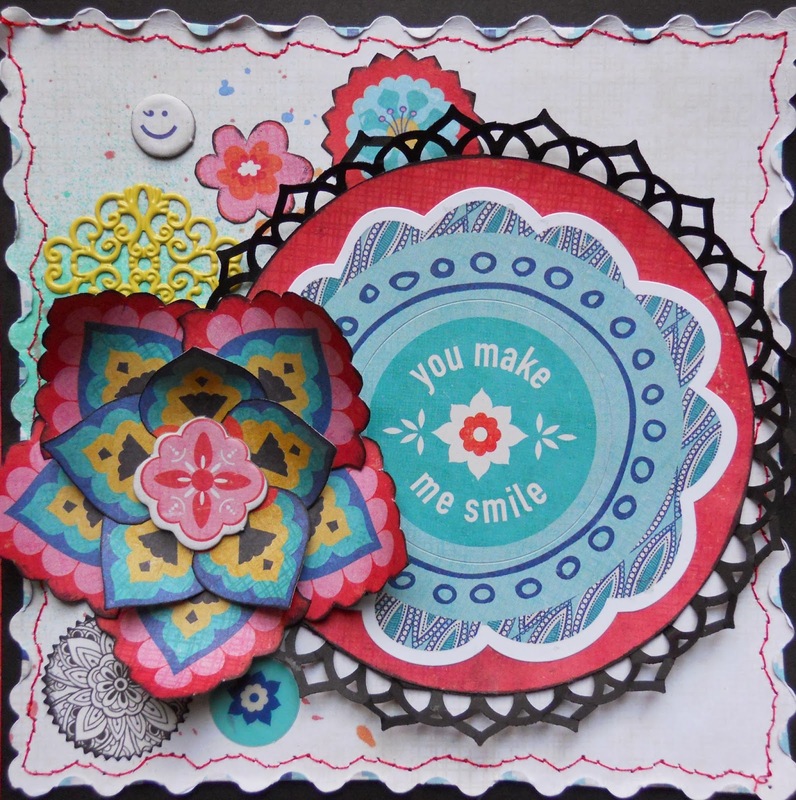 Basic Grey's Spice Market I want it all bundle is packed FULL with all kinds of colorful and exotic papers and embellishments! After making a layout and this card it still seems like I haven't even put a dent in it. I started with decorative scallop scissors to cut the white (cumin) paper, and flicked and spritzed it with some Glimmer Mists before stitching around the edges. I cut a 4" inch circle from the red (paprika) paper, and adhered the sticker onto it backing it with a punched strip of black cardstock that was cut every 1/4" right up to the punching, gluing it down bit by bit in order to shape it all the way around. 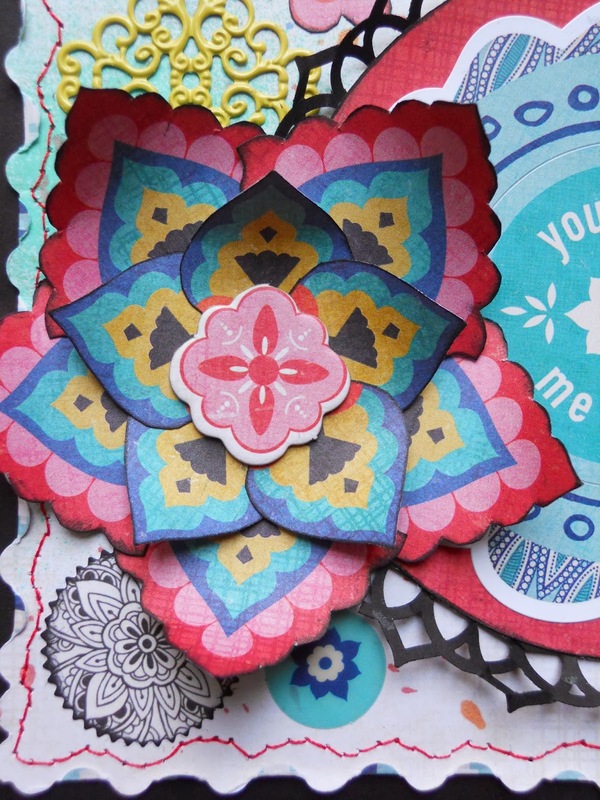 To make the flower you just need a half page of the sea salt paper, black soot Distress Ink, chipboard, glue, and scissors. 1. From the sea salt paper draw a line from the end of the red petal shape to the black stem using a pencil and ruler. 2. 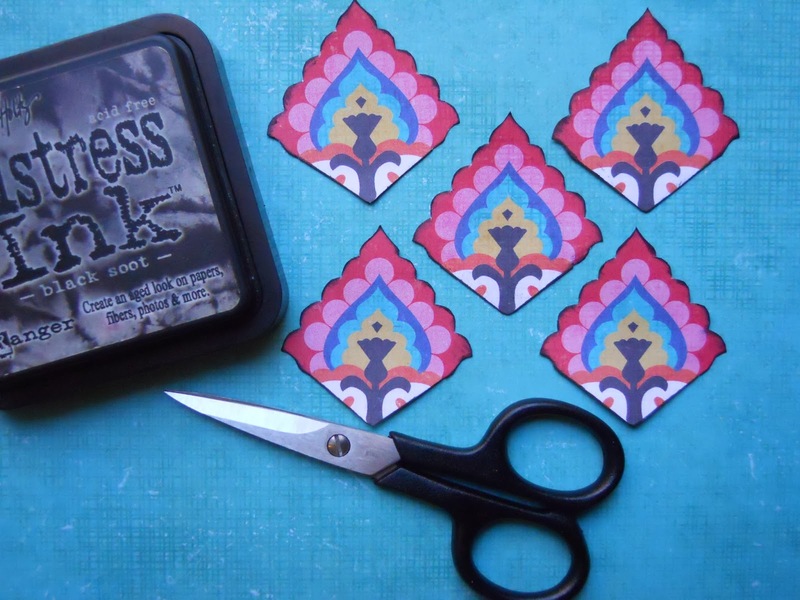 Cut and ink five petals using black soot Distress Ink. 3. 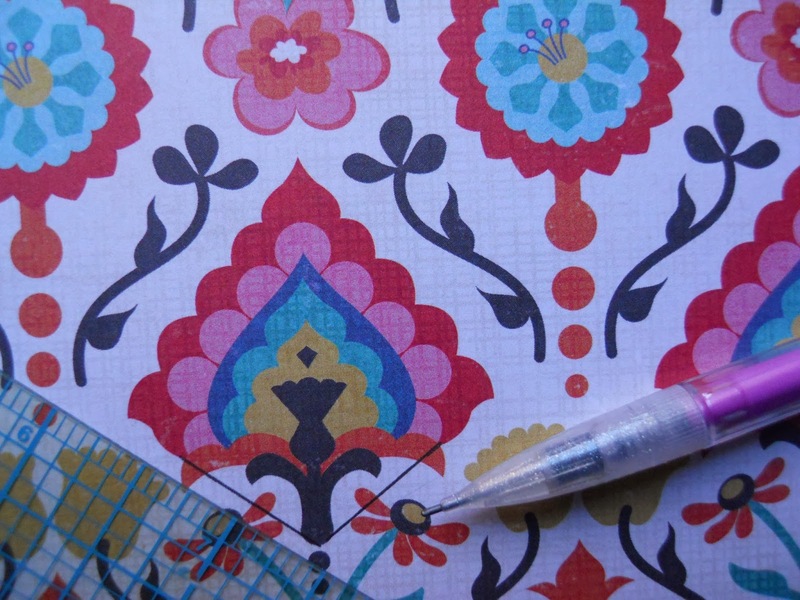 Cut a circle from a scrap of cardstock and mark the center with a pencil. 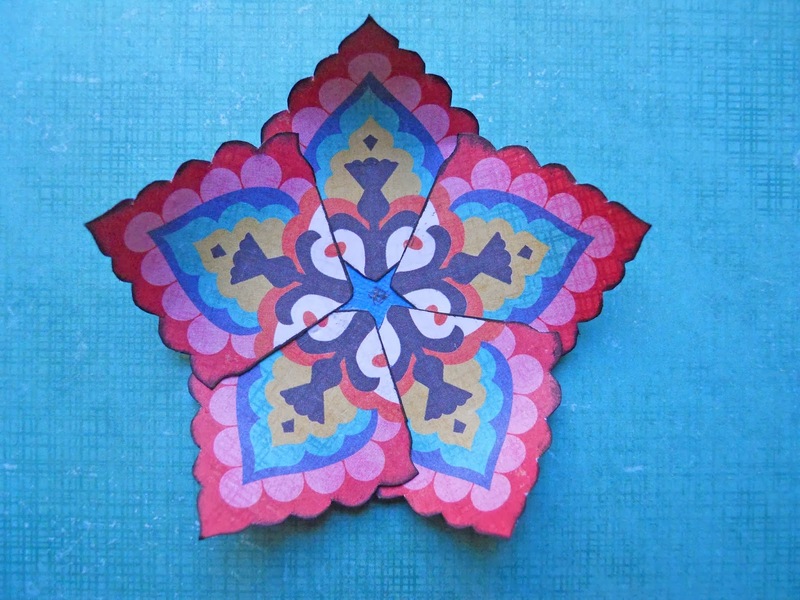 Then curl up your petals and glue them around the middle slightly overlapping each petal as you go. 4. 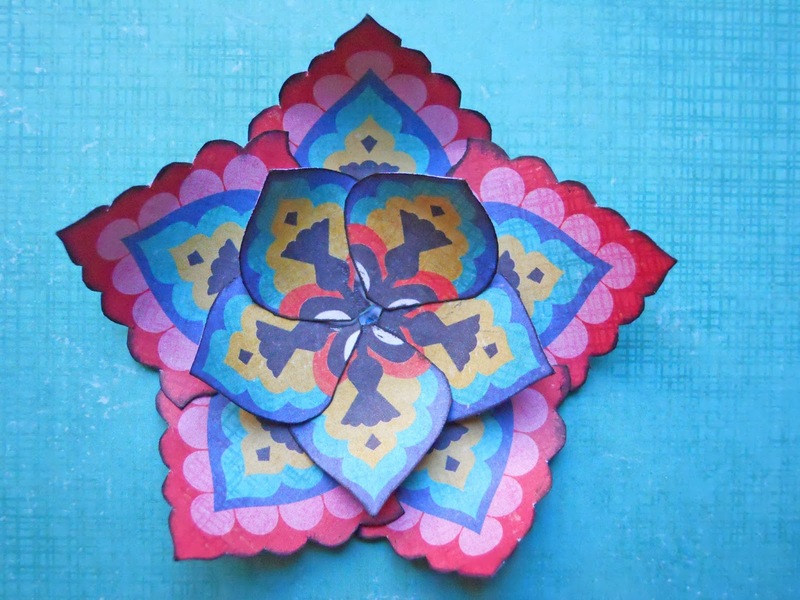 Now cut, ink, and repeat with the inner blue petals, and glue them in between the larger ones. 5. To finish it off I added this small piece of chipboard, but you could also use one of the brads or studs that come in the bundle. Thanks for stopping by, and don't forget to stop by FotoBella for your own bundle!